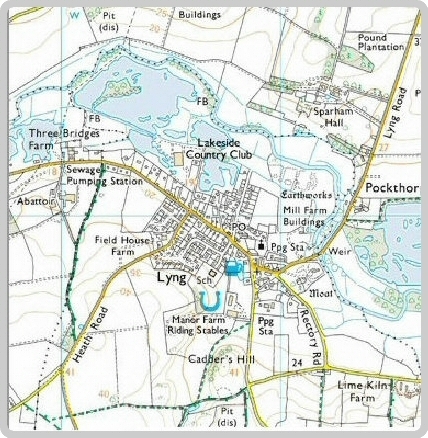 Welcome to Lyng, Norfolk's web site. Situated in the Wensum Valley halfway between Norwich and Fakenham, the village boasts a thriving community with many amenities and groups. The aim of the site is to provide a platform for members of the community. It is also designed to inform the village and other interested people. There has been a settlement here for over 1000 years which has evolved into the village we see today. The earliest stone church building was erected in the time of King Canute, although St. Margaret's today is mainly a medieval structure. Most other buildings of any antiquity have long since vanished, with the exception of the mill house, or they have been incorporated into newer buildings. The web site is funded by Lyng Parish Council and the editors wish to thank them for their support. 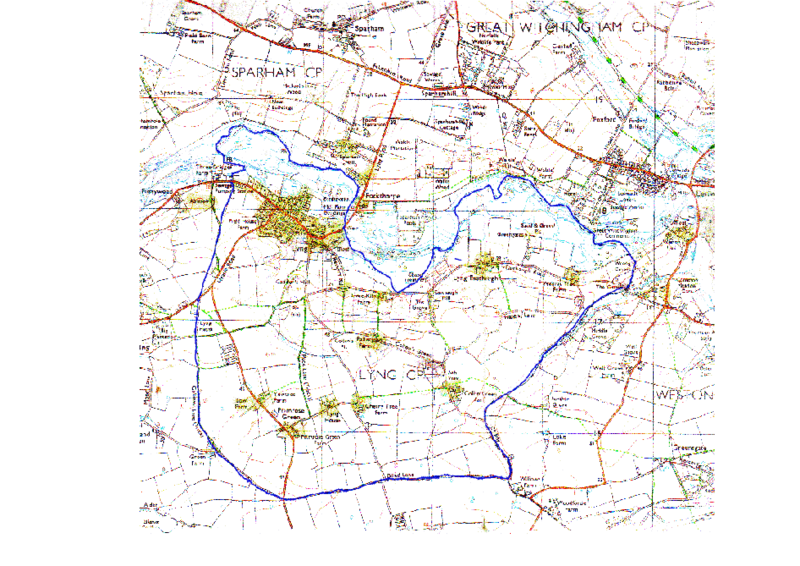 The blue line on the map outlines the Lyng Parish area. The site is run independently of any group.